A clean and neat environment can make all the difference in enabling you to function more effectively in your home or office space. Whether you need someone to do the boring domestic chores such as oven cleans and vacuuming, or regular daily or weekly tidying for your home or office in Withywood or Bishopsworth, we can accomplish it for you. Our efficient and highly trained cleaners can handle one-off or regular cleans, big offices or small houses, with great ease. Premium Clean offers flexible cleaning solutions for all customers across the area – by understanding your needs, we can customise the way we work around your specific needs and requirements. 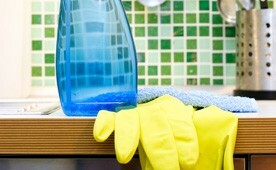 All our regular and one-off clean services are insured, as are our highly referenced cleaners. Give us a call today for a free, no obligation quote on any cleaning service that you need. Just dial 0117 345 9015.